Annual reports: they’re dry, boring and full of corporate buzzwords, right? That’s not really the mySociety way, though. All the same, we wanted to share some facts and figures about everything we got up to last year. It’s in the nature of our work that people tend to know about one part of it—say, our international work, or the sites we run here in the UK—but nothing else. Well, to give you a more rounded picture, here is the mySociety annual report, featuring, among other things, the pop group One Direction, some vikings, and the TV presenter Phillip Schofield. 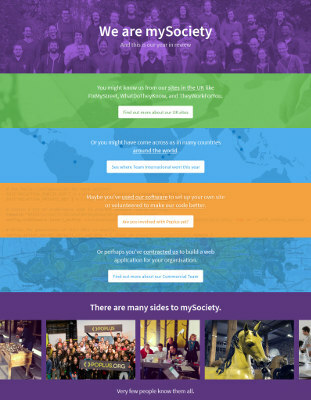 Welcome to mySociety in 2014… and if you enjoy it, please do share it around!